KoopaTV: Is The Legend of Zelda an RPG? Many people who accept that The Legend of Zelda is not an RPG series put Zelda II: The Adventure of Link as a borderline case. After all, it has RPG elements in it, right? But Nintendo classifies it as an "Action, Adventure" all the same. Meanwhile, platformer-with-RPG-elements Super Paper Mario is flat-out categorised as a role-playing game as much as RPG forefather Final Fantasy is. They didn't even try putting KoopaTV-buttmonkey Paper Mario: Sticker Star as an RPG. It's "Action, adventure"! So yeah, they're pretty inconsistent whether they're using a loaded term such as "genre" or not. I can't and won't sit here and try to tell you how Super Paper Mario is a different category/genre than Zelda II: The Adventure of Link. Maybe you can explain it in the comments, but we're moving on. "Genre" is a loaded term because it's used in a much different way in other entertainment mediums than what the game industry uses it for. Entertainment mediums such as books and movies, as Ernest Adams writing at Gamasutra once explained, are given genres based on subject matter and tone. Game genres are based on gameplay; so Wild Arms isn't a Western but an RPG, and Halo isn't classified as science fiction but a first-person shooter. So what happens when you get this intermixing of genres like so many games do now? Is Bioshock an RPG or a first-person shooter? Is Portal a puzzle game or... a first-person shooter? Is Metroid Prime an action-adventure or..... a first-person shooter? As more and more games are being made and the folks behind them are trying to add new twists and differentiate them (or maybe they just get tired of making the same thing all the time), are we really going to stick with the same old tired genre conventions the gaming industry has found itself in? It's a really bad industry state when a single-player game is classified as "Party". A lot of "game scholars" have been trying to get new systems of classification for games, along with broader change in how designers use vocab in general. But based on the gaming media and companies themselves in PR statements, it hasn't caught on despite these efforts occurring for... almost as long as people have been thinking The Legend of Zelda is an RPG. Seriously, we need something better than this. It is a lot more meaningful to everyone — the average consumer, the fanatics arguing on message boards, and genre-based game of the year awarders alike — to have more accurate, descriptive, and analytical ways of discussing genre. Believe it or not, it's not helpful to anyone to call anything with projectiles a "shooter" or anything with moving parts "action". Just like you're not helping people if you say a game is an RPG or has "RPG elements" because you can level up a skill tree. No one out there is able to give a definition of what an RPG even is, we just know from what started the genre that The Legend of Zelda isn't one. Maybe we should start using more terms like "Interactive Theme Park"? Buzzwords should not take the place of real discussion and analysis of games on any level. Ludwig recognises there is a problem, but offers no solutions in terms of solving it. Perhaps you can help fill the gap by proposing a system you like for game classification, or maybe you can advocate for a system that has inspired you. 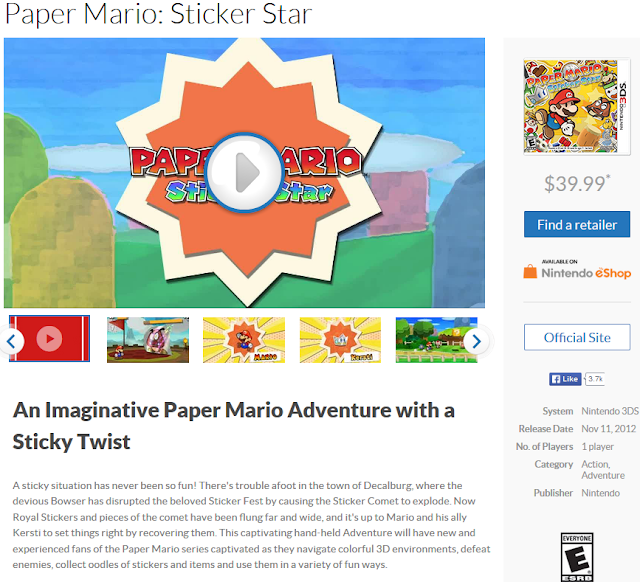 Ludwig wishes he went on a rant about Paper Mario: Sticker Star when he mentioned it, but everyone already knows what he would've said. 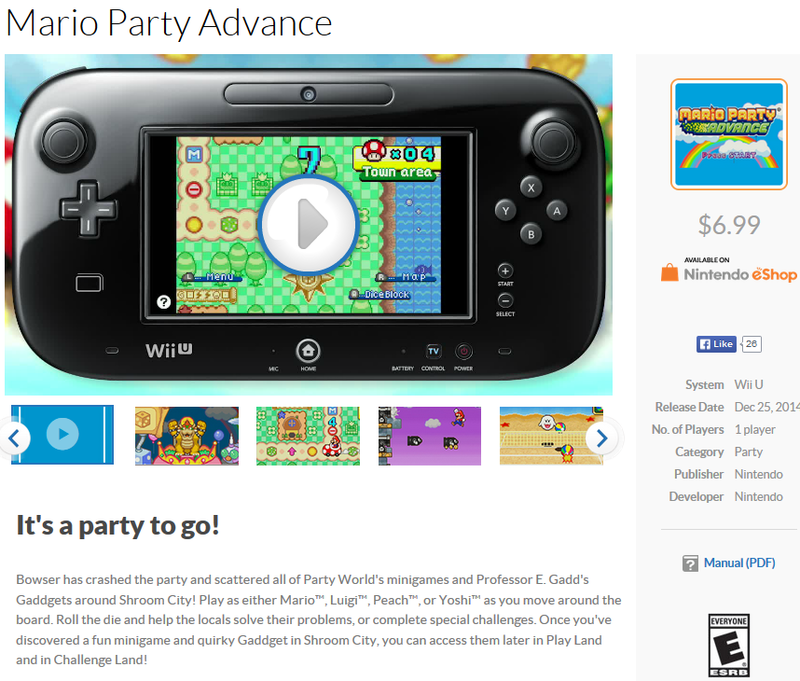 "Party" can be renamed as a "Mini Game Compilation". The familiar term for what people think of turned based RPG (original Final Fantasy) should be renamed. I just call those game with elements from two different "genres" a hybrid. So Ratchet and Clank series to me is a third person shooter/3D platformer hybrid. Why not change our way of thinking completely? So instead of Ratchet and Clank being a "hybrid" (and you Team Science people would use a word like that) you could just call it what it is? I know people (and games) like being in big encompassing groups ("3D platformer" is "action adventure", too) but I still don't find it extraordinarily helpful. 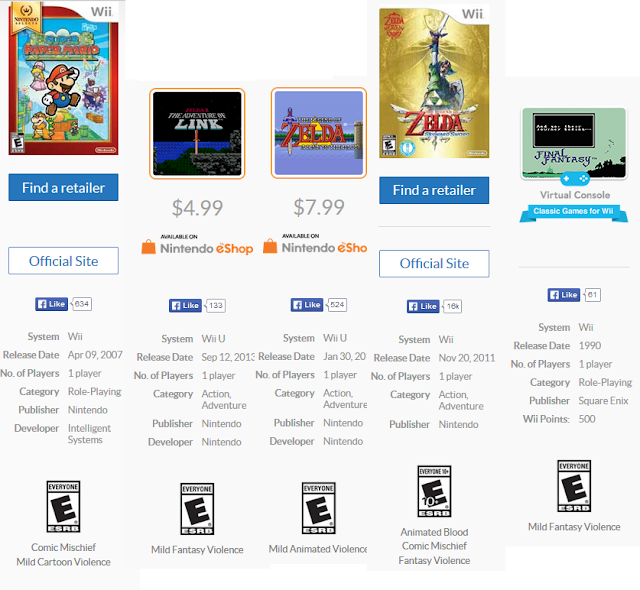 I mean, how come we don't include the perspective (first/third/whatever) in every game classification? Phoenix Wright: Ace Attorney is a third-person courtroom logic-based adventure game! So me joining a side you do not like in a Splatfest going to be used aginst me from now on? Of all the genres, I think RPG comes with the most confusion. Some people will argue that games like Final Fantasy or Wild Arms aren't RPGs, because you don't truly play a role, and therefore only games like Mass Effect are RPGs (this is similar to the literal translation of the genre name that gives survival horror so much trouble). Then there's the term "JRPG," which is even more confusing. In theory, JRPG means an RPG from Japan, but we all know it comes with certain genre expectations. So what do you call a game made by a western developer with the gameplay and style of classic JRPGs? What do you do with something like Dark Souls, which is *technically* a JRPG? Yeah, it's a confusing mess. To Capcom's credit, it tried to escape genre definitions when it dubbed Resident Evil 6 "dramatic horror," but that just confused fans, who quickly went back to arguing over whether it was survival horror or action horror (while on the topic, I don't think "action horror" is recognized as an official subgenre, and games that call themselves "psychological horror" confuse matters more). Of course you'd bring the horror perspective into this. Speaking of Capcom's credit, their marketing does basically have Ace Attorney as a "Courtroom Battle" subgenre. I don't think Nintendo recognises it. At all. "JRPG" is a stupid genre name. It carries with it a lot of implications, and I use it too ("Ludwig likes JRPGs but not WRPGs.") but it really does assume that developers from Japan are monolithic, and developers from everywhere else are also monolithic. And these monoliths are distinct. Which isn't always true, especially when folks try to get creative. What do you call Inafune's flirtations with Western-style game development? Pft, who decides what genres are "official" or not? "Psychological horror" sounds like a survival horror that leans towards scaring the player more than having any gameplay objective. If people forgot the "Courtroom Battle" subgenre (I never heard of it until now) and went right back to calling it an adventure game, it sounds similar to the "dramatic horror" stuff, although I'm not sure even Capcom stuck with that. Still, I wonder if games that draw inspiration from Ace Attorney's style consider themselves in the "Courtroom Battle" subgenre. Then you run into confusion with non-Japanese games mimicking classic JRPGs and RPGs from Japan following Western styles or just trying their own things. Plus, attempting to categorize RPGs as either JRPGs or WRPGs also carries the assumption that all Japanese games must come from either Japan or the West. I'm never sure how to explain what Parachronism (the game I'm involved with) is because of that, and I was looking at an African RPG today wondering how to classify that. Genres should be named and defined according to gameplay. Region-based genre names cause too many problems. Psychological horror games tend to focus on emotions and subtler horror (ex. more unsettling situations than jump scares). Usually. Then you've got something like Alan Wake that markets itself as "psychological thriller." " also carries the assumption that all Japanese games must come from either Japan or the West." I think you meant all roleplaying games. I hope. African RPGs? Now that's a topic I haven't explored at all. Oops, yes, I meant roleplaying games. XD Obviously all Japanese games come from Japan. Since I'd just read your article, the label of "African-Fantasy Action-RPG" stood out to me as something that really messes with the JRPG/WRPG divide. What's wrong with the term first-person shooter? It distinguishes it from third-person shooter, and those names actually describe the gameplay style. What would you call them instead? ...I wonder what Capcom considers it, but then again, I don't remember really seeing all that much, if any, marketing copy from Capcom for Ace Attorney Investigations. Good, we agree Japanese games come from Japan. Y'know, it's one thing to put Japan or... Western civilisation as respective monoliths. But Africa is way too diverse to be a monolith. I mean, who in Africa gets to decide what "African culture" is? North side of Africa is totally different than central and very different than south side. That said, not sure how that's an "Action RPG". It seems closer to Zelda II than, like, Kingdom Hearts. Because it lops anything in a first-person perspective or a third-person perspective that uses a projectile together. I'd consider Splatoon, which is in third-person with shooting weapons, very different than Mega Man X7, which is in third-person with shooting weapons. What you'll end up with are very long hyphenated things if we try to be more meaningful, and I don't think that's better, either. Who decided that perspective/presence of projectiles are the most important factors for distinguishing these games? ...And couldn't almost everything be considered an "Action" game? That's stupid too, and basically everything we've discussed is "Action". I had enormous trouble when deciding where to classify KoopaTV's stuff, so I just said "screw it" and only put us under developers. Calling any of these things monoliths is dangerous. I saw someone arguing about how the Witcher series adds diversity to gaming by having a very Polish viewpoint, even though people who complain about the series' lack of diversity just lump it in with all the other Western games. It's an action RPG because it isn't turn-based. If it's real-time combat in an RPG, it's going to be called an action RPG. So basically, what we've learned from this is that genre definitions are a complicated mess. The fact that this is how the genre is defined is calling it monolithic. But like... it's not an RPG at all? Then... what defines something as an RPG? Battling to earn exp and level up seems RPG-like to me. The game KoopaTV is working on right now has a (hidden) experience count and (hidden) stats that can be increased. Not considering that RPG-like at all. That's like saying Double Dragon is an RPG because you learn new moves as you go on. Well if your exp and stats are hidden, I agree that sounds unlikely to be an RPG. But I see nothing to suggest Aurion isn't an RPG... unless it's just the combat style, and since that was inspired by the early Tales games, it's an action RPG. So if the devs say it's inspired by an action RPG, it gets to just inherit the genre? No, I was saying that if your objection was to the combat system, it's using a combat system similar to that of another RPG series. That was the only thing I could think of that might make you think it wasn't an RPG. Well all we've really seen is the combat system, right? Tales Of is an RPG because of all the other parts of the game, too. Hmm, which other parts? Story (sorry classic RPGs and Legend of Legacy) and towns (sorry FFXIII)? Or others? Yeah, story and character development are huge parts of RPGs, and that goes back to Dungeons & Dragons. Then let me ask you, what do you think of Legend of Legacy? It's an RPG that, from what everyone says, has very minimal storytelling.